His Serenity Highness Prince (Reich Fürst) Franz Ulrich Kinský von Wchinitz und Tettau, had passed away in Buenos Aires on April 1st 2009, he was survived by his widow Princess Helena Kinský, née countess Hutten-Czapska his son count Karl Kinský von Wchinitz und Tettau, from now on the Head of the family and the new Prince Kinský, his daughter in law Dolores Beccar Varela (from one of the oldest patrician families from Buenos Aires) and his three grandchildren. His struggles against the Czech authorities, which had just one goal the recover of most properties confiscated by the Benes Government when he was just seven years old, blaming his family as traitors to the then Czechoslovak State and supporting the Nazi occupation, which was not true at all. Franzi was born in the family palace in Vienna and baptised in Prague, he always felt that he was completely Czech like his ancestors but always loyal to the House of Habsburg. His father Prince Ulrich Ferdinand Kinský, in spite of all the chitchats in Prague, finished his days at the Bristol Hotel in Vienna, when he was trying to recover his own palace occupied by the SS, after the Anschluss of Austria to the German Reich, perhaps murdered by the Gestapo. His mother Princess Kinský born Baroness Mathilde von dem Bussche (member of a well known German anti Nazi family, with a several members of her family murdered after the plot on July 20th in 1944) left the occupied country and travelled to Argentina. His grandmother was a wealthy Argentine citizen. He died on Wednesday after a short decease, and his burial took place in Buenos Aires, some 300 hundred people gathered at the cemetery, many of them members of the Austrian, Hungarian, Bohemian, German, French, Italian, Polish nobilities living in Argentina like lots of his Argentine friends. Very sad that he died,but interesting facts about his family...if you know something more about him please write! Jose, Franzi Kinský married twice that is correct. His first wedding was with Roberta Cavanagh, the mother of his only son Charlie, the new Serenity Highness, Karl or Karel Prince and Count of the Holy Empire (Reich Fürst und Reich Graf) Kinský von Wchinitz und Tettau born in 1968. Charlie is married to a beautiful and extremely elegant young argentine lady of the best society, who belongs to one of the oldest families of Buenos Aires, Dolores Beccar Varela, both have three sons. Franzi and Roberta were divorced and years later he remarried in Paris to Helena Countess Hutten Czapska, who belongs to a very aristocratic Polish family from Cracow, they are closely related to the Austrian nobility as well. By the way, Roberta died just a couple of years later, then Franzi wedded Helena or Lena in Paris according with the Catholic Church’ sacrament. Most of his Austrian, German, Hungarian, French and Argentine relatives travel to Paris and were there for this occasion, like the von Wuthenau-Hohenthurm brothers and sisters, who are grandchildren of Countess Antoinette von Wuthenau geb. Gräfin Chotek, sister of the Duchess of Hohenberg. 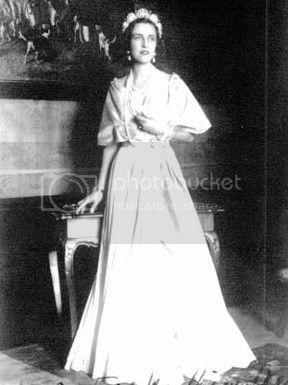 Princess Mercedes Dietrichstein like Georg Herzog von Hohenberg and his wife, the Liechtenstein family very close related, six Princes and princesses von Auersperg, including his favourite cousin Elisabeth Prinzessin von Auersperg, geb, Elisabeth Archduchess of Austria. Was a great gathering of “Old Europe” pre 1914. Many of them attended his funeral on April 4th here in Buenos Aires, including a great friend of mine who last year wrote a lot about the Dietrichstein family. Archduke Otto and Archduchess Regina sent a letter of condolences to his son and his adorable wife Lena. His mother Princess Kinský born Baroness Mathilde von dem Bussche (member of a well known German anti Nazi family, with a several members of her family murdered after the plot on July 20th in 1944) left the occupied country and travelled to Argentina.